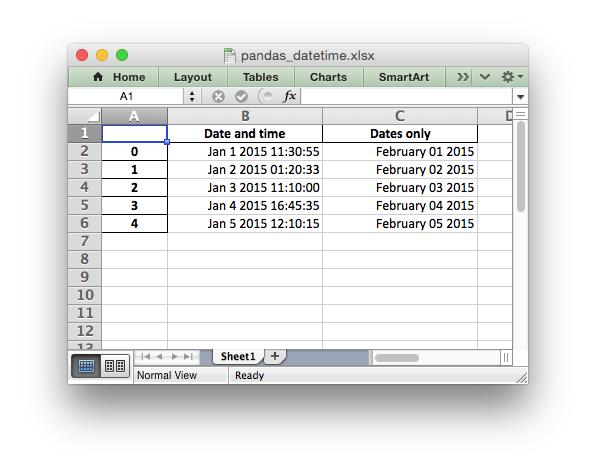 An example of converting a Pandas dataframe with datetimes to an Excel file with a default datetime and date format using Pandas and XlsxWriter. # with a default datetime and date format using Pandas and XlsxWriter. # Create a Pandas dataframe from some datetime data. # Also set the default datetime and date formats. # widths, to make the dates clearer.